Every time there is a birthday, a celebration or any other event and we gather around a table, the question arises of where we have to sit … well, a couple of years ago I thought it was fun to make some brands with the name of each one of the guests. 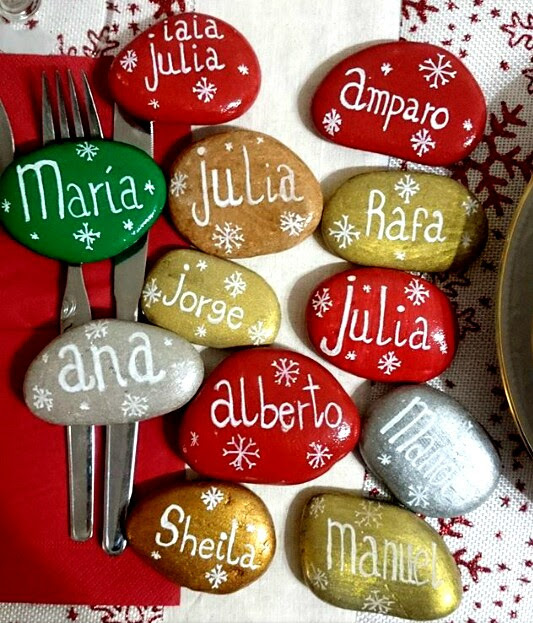 My first placemarks were made for a Christmas meal, so I used Christmas colors (green, red, gold, silver and bronze) and small snowflake motifs. 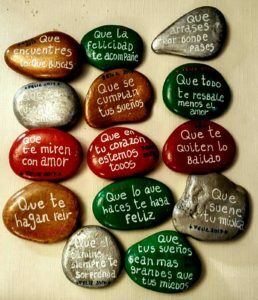 So that they were not just stones with the name on the back, I added a good wish for the coming year. It was fun, we sat at the table and discovered what was written on each stone. 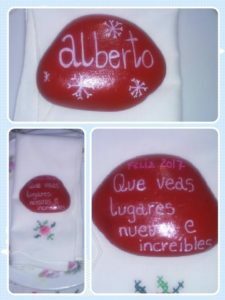 It is very easy to do and the result is very good at the table and, on the other hand, it is an original way to congratulate and express good intentions and wishes to our loved ones and friends. 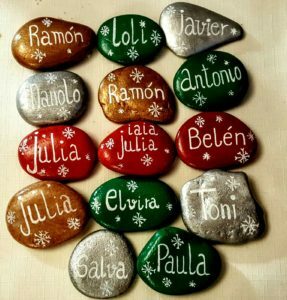 I love painting stones, when I'm doing it, time stops. I am self-taught, I love exploring new techniques.